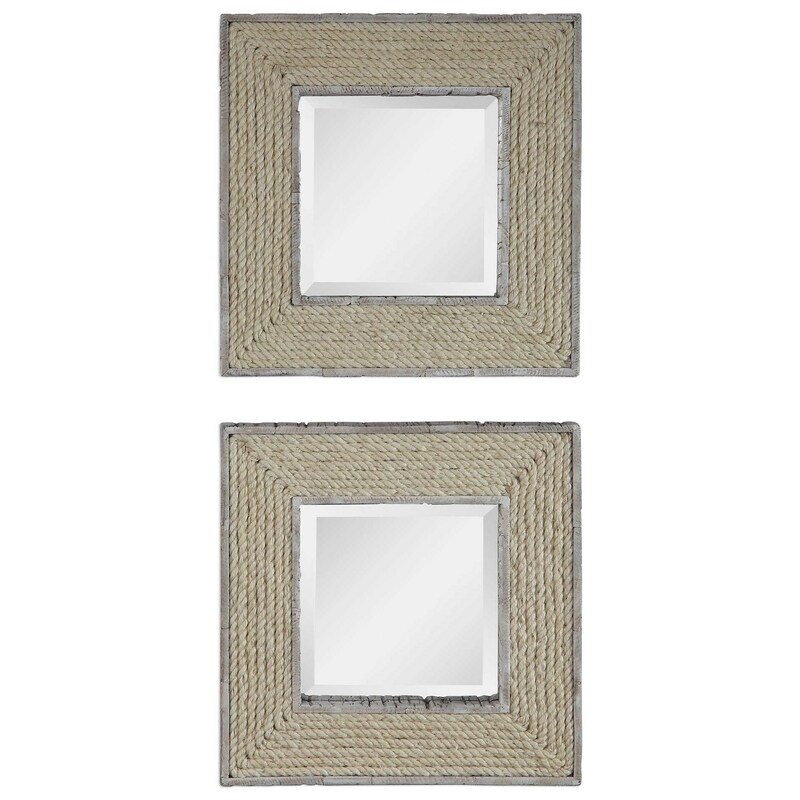 This Coastal Mirror Set Features Heavily Distressed Fir Wood Outer And Inner Frames With Deep Textural Accents, Finished In A Warm White Wash. A 3-dimensional Effect Is Created With The Use Of Natural Twisted Rope Inlay. The Square Mirrors Feature A Deep Profile Setting And Beveled Mirrors. The Mirrors Cambay Square Mirrors (Set of 2) by Uttermost at Dunk & Bright Furniture in the Syracuse, Utica, Binghamton area. Product availability may vary. Contact us for the most current availability on this product. Finish & Paint Options This Frame Features Curved Mirrors With Hand Beveling. The Mirrors collection is a great option if you are looking for Accents in the Syracuse, Utica, Binghamton area. Browse other items in the Mirrors collection from Dunk & Bright Furniture in the Syracuse, Utica, Binghamton area.